One of the workhorses in the defense of the Soviet Union against the panzers of Nazi Germany was the ZIS-2. This was a 57mm anti-tank gun that could be easily concealed for ambush, deployed virtually anywhere on the battlefield, and was simple to operate and maintain. The downside was the ZIS-2 was a towed weapon. While soldiers could maneuver the weapon around short distances by hand, it required a support vehicle to get the ZIS-2, its ammo and crew from point to point on the battlefield. 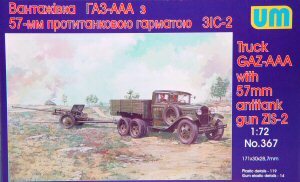 One such support vehicle was the ZIS-AAA truck, which was a cargo truck whose chassis could be adapted to support a variety of roles. 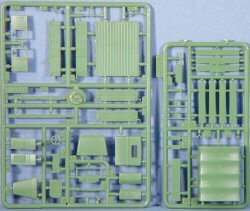 The kit is molded in medium green styrene and presented on seven small trees of parts. The first tree contains the majority of the GAZ truck cab and unused truck bed, the second tree contains canvas cargo bed cover and bed parts. 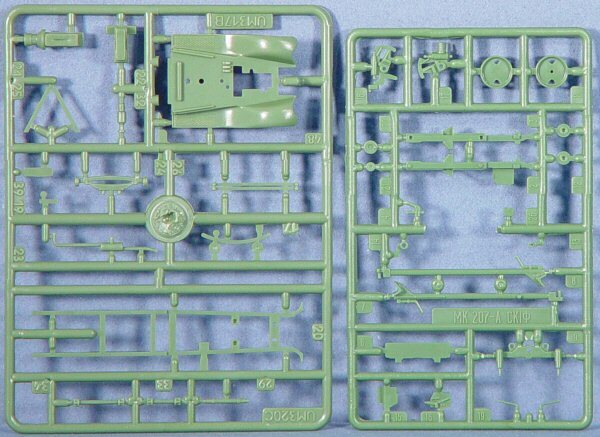 The third tree has the GAZ truck chassis, the fourth tree has the carriage for the ZIS-2 gun. The fifth and seventh trees have the truck's suspension and wheels, whilst the sixth tree (as illustrated here) has the ZIS-2 gun, shield and ammo. Assembly of the gun follows and it too is a simple affair though it has great potential for drybrushing and weathering to bring out the cast-in detailing.. This is a nice looking model that will look great as a vignette or part of a diorama. 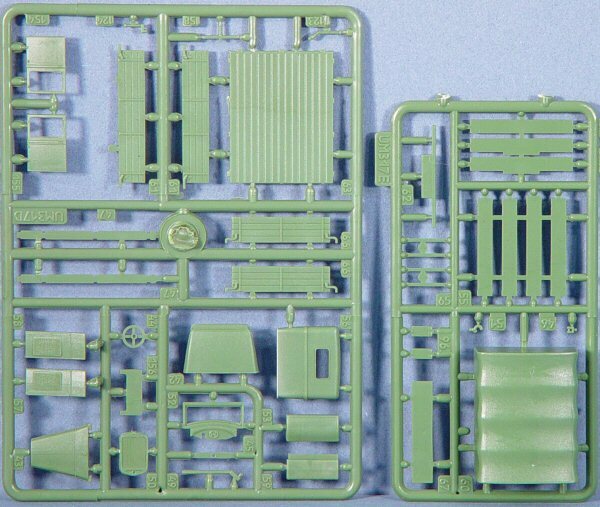 You can get this kit from your favorite hobby retailer or directly from Squadron Mail Order.